Anyway, enough of that! What shall I say that's interesting? Well, for one thing, I just noticed that a lot of my blog titles recently (within the last month or so) have been song titles or lyrics. So there's a fun fact. And speaking of songs, if you like Les Miserables and awesome flashmobs singing in Polish, you should watch THIS!...Just so you know. It's not weird that I've watched this like 5 or 6 times...right??? And it really confuses me how some people in the mall are just looking like whatever, when there's this spectacular bunch of fantasticalness happening right in front of them. I'm pretty sure if I witnessed this flashmob, I'd be hyperventilating with excitement. Then again, that's me. So, what else can I write about? Oh! I learned something cool recently...that might actually be boring to you guys. Oh well, here goes. There's this actor named Ramin Karimloo, and he has the voice of...I don't know what. An angel? Melting chocolate? There's really no epithet to describe this man's voice. I'm listening to him as I write this and falling more and more in love. Anyway, interesting facts: Ramin played Enjolras in the 25th anniversary concert of Les Miserables (which used to be on YouTube, before it got taken down. But if you ever get a chance to watch it, it's fantastic, and definitely worth the three hours! ), as well as other productions of the show. In the 25th anniversary, he was Enjolras and another actor, Hadley Fraser, played Grantaire. But in another production, Ramin was Enjolras and Hadley was Marius. And then in yet ANOTHER production of Les Mis, Ramin played the lead role of Jean Valjean, and Hadley Fraser played Javert. But that's not even all! In the Royal Albert Hall production of Phantom of the Opera (in 2011), Ramin was the Phantom and Hadley played Raoul! So that's fun, right? I don't know. I just really like cool connections like that. Because I'm a nerd. Ramin, who played the Phantom in the stage show (as well as the original London production of Love Never Dies) also played Christine's father in the movie of Phantom of the Opera. Hadley Fraser, who was in lots of productions of Les Mis, got to be in the movie of Les Mis as well. He played an army officer. Hadley Fraser was also in Doctor Who! He played Gareth in Army of Ghosts. And to veer even more off topic--if there is a topic here--there's Colm Wilkinson. He originated the role of Jean Valjean in Les Mis, and then in the movie he played the Bishop. How cool is that?! Also, he was the original Phantom in the Canadian production of Phantom of the Opera. You know, in case you weren't already convinced of his awesomeness. Yeah...I just bored you all to death, didn't I? Sorry about that...I didn't know what else to write about, so I totally geeked out. OH! Road trip news: We reserved our campsite for the Grand Canyon! YAAAAY! =) And we found out that there's a place there called Ooh-aah Point, which is a fantastic name. Yeah...I kind of ran out of things to say, so I guess this is the end of the blog. THERE IS NO WAY TO GO OOOOOOOOONNNNNNNNNN!!!!!!!!! Hello from Jill&apos;s desk. As Sara said yesterday, this is our first real week of school and it already feels like we&apos;ve been back for a much longer time. With my classes the way they are, I get done about 11:30 on MWF and 2 on TR and it just feels weird to have such a large block of free time. Umm...I went to the dentist today and they don&apos;t know why my tooth broke--that&apos;s exciting. I also went grocery shopping. This is starting to sound more like a diary...of someone who leads a really boring life. Hello from my first true school blog of the year. School started last week, obviously, but I wrote the blog before I went, so I don’t think it really counts. Anyways, things are starting out (and looking like they’re going to stay…) kind of crazy. This semester is Block 1 for me, which is when things start to get SRS BSNSS for Elementary Education majors- so much to do! At first I was extremely freaked out, so of course, I procrastinated on everything until the weekend. This meant that, when everyone else went out to eat to celebrate six months till our road trip (!!!! ), I had to stay home and suffer the consequences of my procrastination :/. And apparently there was a baby! (Of course Sara’s more upset about missing the baby than the friendship :P). But anyway, once I actually got to work and got most of it figured out, it wasn’t so bad. So I’m going to try not to let that happen again! So! This week’s topic is Question Tuesday! Since the Phantom voted me favorite last week :) So here we go! If you had to change your first name, would you add an H to Sara and still be a Sarah, or would you pick an entirely different name? I think I’d just pick a whole new name. I just don’t think I could make the Sara to Sarah transition. Plus I could pick a cool new name. Not sure what it’d be though. I’d have to think on it. If you had to be a plant, what kind of plant would you be? What’s your favorite song from Dr. Horrible? Probably either "My Eyes" (http://www.youtube.com/watch?v=EQyNN2SfPwQ) or "Slipping" (http://www.youtube.com/watch?v=RidsxnnVTR4). I love the way the two voice parts interact in "My Eyes," and I just really love 'Slipping"! What’s your favorite song from Phantom of the Opera? Grrrrrrr. "Down Once More" maybe? Really just the whole ending is amazing and all the feels and just aaaahhhh!!! What’s your favorite song from Les Miserables? I…I don’t know the songs from Les Miserables. Who’s your favorite character from Les Miserables? Ummm, the brunette one? Who pretends to be a guy and gets shot? Who’s your favorite character from Lizzie Bennet Diaries? Which Lizzie (or Lydia, or Maria Lu) episode has been your favorite so far? Quite possibly the most recent one- especially the last 10 seconds or so with Darcy. :D:D:D:D AND THE SHOULDER TOUCH!!!!! What do you think is going to happen to Lydia (provided we haven’t found out already by the time you answer this)? Bad things… have you seen today’s video? I just want her to know what he’s really up to! WHY AREN’T YOU SEEING THIS JANE AND LIZZIE?!?!?! GO HELP YOUR BABY SISTER!!!!!! What’s your favorite Pride and Prejudice adaptation? Probably LBD. It’s just so made of awesome! What classic book would you want Hank Green and etc. to adapt to a web series next if they do another one? I’m not sure. Another Jane Austen, maybe? I really like how they have several different channels incorporated into it, so I’d hope they’d do that again, though maybe with more main characters? So instead of just having Lizzie’s main channel and several supporting channels, have several more main channels going at once. I think it’d be especially funny if they didn’t know about each other’s vlogs at first. I just think that would be really amusing :) Like, I don't remember exactly how Sense and Sensibility went but what if Elinor and Edward were making their own separate videos before they met, and then they meet and still don't know about them and that would be cool and stuff. What is your opinion on the following quote? “Man is indestructible because of his simple will to freedom.” Bonus points if you know who said it! Is there any thing or entity or idea that you actually hate? Not just dislike. I mean hate. Speaking of which, how strongly would you say you experience emotions? What kind of things make you feel good about humanity/the world? Babies and children and cute things and seeing people be super nice. Having watched the first episodes of both Farscape and Downton Abbey, which would you prefer to continue if you HAD to watch one of them? Probably Farscape. Historical stuff tends not to interest me so much. What do you mean Downton Abbey is too modern…? I don’t know things, ok! You guys just try to make me justify my dislikes and so I say stuff that sounds like stuff but isn’t really stuff! Can’t I just dislike things in peace? Are you opposed to books where sad things happen, or is it just TV and movies? I’m not opposed to things where sad things happen- Phantom of the Opera is amazing, and lots of sad things are amazing, it just has to be done right. And anyway, I am human and therefore entirely allowed to be inconsistent for no good reason! Have you ever seen Titanic? If so, what’s your opinion of the movie? Would you let me dress you up as Audrey Hepburn for Halloween this year? What song do you see as being our theme song during the road trip? Ummmmmm… Kiss the girl? It’s not really road trip related, but I like it, and most of us know all the words, and it’s fun to sing/yell it together, and we are going to VidCon after all. How do naps lure us in so easily? I’m not really much for naps. Mostly they just make me feel groggy and generally worse than if I’d just toughed it out and maybe gone to bed early or something. Plus if I leave my contacts in, then my eyes are all red when I wake up. And it's not like I'm going to take them out just to take a nap. Can someone be loyal to a fault? Sure! If you’re too loyal to one person or thing, then that can interfere with your judgment and make you go along with something even though you would otherwise think it was a bad idea. It can also be annoying to the person to whom you are loyal, since you may, in your loyalty, decide not to mention their faults, and when said faults are brought to their attention in another manner, they will be annoyed that you didn’t bring it up to them and save them the embarrassment/misery. Also, Sara, would you let me dress you up as Helena Bonham Carter…possibly in one of her weird movie costumes? She would probably be more Halloween-themed than Audrey Hepburn, but I think I’ve had my hair crimped for too many past Halloweens. If a guy was on his deathbed and he was in love with you, would you marry him to satisfy his dying wish, even if you weren’t in love with him? I don’t know that that would be a good idea. That’s a pretty big lie to go through with, even if the guy is dying. And surely he would know that I didn’t love him back? That just wouldn’t be any good at all. Also Sara, would you let me dress you up as both Helena Bonham Carter and Audrey Hepburn at the same time for Halloween…split down the middle? What have I done? Become a thief in the night? Become a dog on the run? Have I fallen so far, and is the hour so late, that nothing remains but the cry of my hate? Aww, don’t be so pessimistic- it’ll get better! Tell me, princess, when did you last let your heart decide? The first question! The question that must never be answered, hidden in plain sight. Doctor who? I would very much like to know. But I also don’t really want “silence to fall,” so I guess I can be ok without it. Will you join in our crusade? Who will be strong and stand with me? Beyond the barricade, is there a world you long to see? We are a pretty weird bunch, aren’t we? Are you interested in a vocal tutor? Again, no. But I’ll adopt you if you can’t find her! Eggs are fine, but I’m not much of a ham person. So those are all the questions! I choose Rachael to win, because her loyal question reminded me of those “too much” questions, which are fun, and because she isn't mean :) Have a good week, everybody! P.S. And I presume she’ll be answering those next Wednesday, not tomorrow, cause that’s really soon. Kbai! Hello from the Sunday marking the end of my accomplishment of watching the first seasons of Downton Abbey in one week. I'm going to miss having enough free time in the coming school weeks. This week in Words Weebly Doesn't Think are Words -- It's been a disappointment actually. The only red squiggles I see are under Downton, lol, and Weebly. Ok, it's not that much of a disappointment to see Weebly underlined in red. It will always make me smile. Hello from the first Thursday of classes! I thought this was supposed to be a short week, but it seems pretty long so far. Oh well, only one more day. Hehe...One day more! Another day, another destiny...Nope. Gotta stop singing Les Mis. It's Question Thursday time! Are you ever going to watch Farscape? I have been, in case you haven’t noticed. I like this Farscape/Downton Abbey exchange we have going on. Who's your favorite character in Downtown Abbey and why? UGHHH!!! That’s too hard! Why would you do this? Ummm....Well, I really like Daisy, even though she’s really just bad at life in general. But she’s young and naive. She can’t help it. She’s so funny, and she reminds me of Molly from Sherlock. Then again, I really love Anna and Bates. And Carson. And Mary. And Matthew. And Sybil. And Tom Branson. Ohhh, Tom...But then there’s Violet (the grandmother). She’s just so witty and spunky and English! Okay, yeah, either Violet or Daisy. They’re my favorites. If I HAD to choose, I guess I’d say Violet. But I love EVERYONE! Did you hear nothing I just said? These are MY questions! And I prefer Mary. She sings admirably. With the proper instruction, she could be quite good. --O.G. ...Very well. But don’t think you've seen the last of me! Why is Edith so derpy? Poor Edith. She’s the middle child, and her sisters get all the cute boys. She just wants to be loved and useful, and sometimes that makes her do desperate, derpy things. She gets better. But then...awww...you’ll see...Poor Edith! If you could be one character in Downtown Abbey, who would you be and why? I’m tempted to say I’d be Violet because she’s just so cool. But no, I think I’d be either Mary or Sybil because...urgh, I can’t say things because of spoilers. But...awww...urggghh...Jill! *shakes fist*...I shall say no more. Having watched 4 episodes of Farscape, what is your current opinion on the show? It’s definitely growing on me. I thought the puppets (haha, Muppets!) and the special effects would be bad and super dated, but I’m actually impressed. And from your description of what happens in later episodes, I’m intrigued enough to keep watching. I don’t love it the way you do, but I do like it well enough. What is your all time favorite science term (preferably a real one)? Wibbly-wobbly-timey-wimey stuff. Pshh, that’s totally a real science term. But I’m also a fan of Einsteinium and Antimony (elements). Antimony sounds funny if you say it wrong, but it sounds like a Greek tragedy if you say it right...Unless I’m saying it wrong. I know there are other fun science terms I find amusing, but I can’t remember. Fecundity is a funny word. What is your all time favorite quote of our friendship? What would you name your yacht if you had one? What kind of yacht? 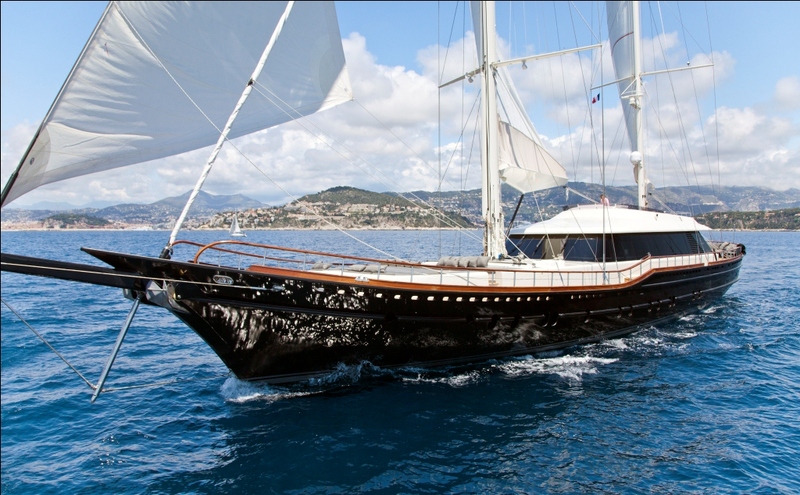 A sailing yacht or a regular yacht?...Not that there’s anything “regular” about a big, fancy boat. If I had any kind of sailing vessel, I’d name her Freedom. But the latter, hmm...All I can think of is Fancy. Wouldn't that be something? A yacht named Fancy. Or maybe Oasis. ...I’d name my yacht after Christine, if anyone was wondering. --O.G. What movie or show do you wish you had never seen? If you could make a fortune cookie message, what would you want it to say? "Keep your hand at the level of your eyes." --O.G. Get out of here, Marius! Wrong musical. --O.G. Pride and Prejudice or Downton Abbey? Downton Abbey, because there’s more of it. And so many characters to adore! And it’s interesting to see both sides of the masters/servants dynamic. Sherlock or Pride and Prejudice? Sherlock! Because...Sherlock. I do love Pride and Prejudice, but when it comes down to a tv show or a book/movie, I can enjoy the show more because there’s more of it. Even though with Sherlock this is just barely true. But still, it’s Sherlock. Sherlock wins anyway. When do I get to see that short film you made last semester? Oh yeah, that. I’ll get that from the editor soon. Would you rather have a real Otterbatch and Mitten or an unlimited supply of drawings of whatever you want courtesy of me and Rachael? Plus, I don’t know how well an actual otter would take to wearing a wig and a coat and a scarf. I don’t even know if otters make good pets. I don’t know, but wherever it is, I’m willing to bet it’s in dehydrated space food form. Does Moya have a Dippin’ Dots machine, by any chance? You want to know about mud? I know this is difficult for you to believe, Your Ladyship, but there are people who do things like work or go to school on certain days of the week. The weekend consists of Saturday and Sunday, the days when these people don’t have to do any of that. It’s terribly middle class and American. You wouldn't care for it at all. Do I look good in my pretty floral bonnet? Mademoiselle, my patience is running thin! I am taking over this blog! You will be silent, or a disaster beyond imagination will occur. --O.G. So, Phantom- looking back, do you think you'd have taken a different strategy in wooing Christine? Maybe one with less creeping and murdering and more flowers and poems? I was her angel of music! What’s wrong with my wooing? I gave her my music, made her song take wing. She denied me and betrayed me! All for that insolent boy! That slave of fashion! Enough of this! Next question! What about this sequel I keep hearing of- what do you have to say about that? Why, Webber? Why would I go to Coney Island of all places? Still, I must say, the music’s not half bad. But the ending is terrible! Do you think you would have had a better life had you been born in this century instead of the 1800s? Been more accepted? Gotten plastic surgery? Won the girl after all? That depends. Could my Christine be with me in your century? If not, my life would be nothing. As for this witchcraft you call “plastic surgery,” it could only improve my image. After all, this face was the infection which poisoned our love, this face which earned a mother's fear and loathing. Is that mask comfortable? Do you wear it, like, all the time, or just when you're planning to go around people? It’s none of your business when or where I wear it!...But yeah, it’s pretty comfy. 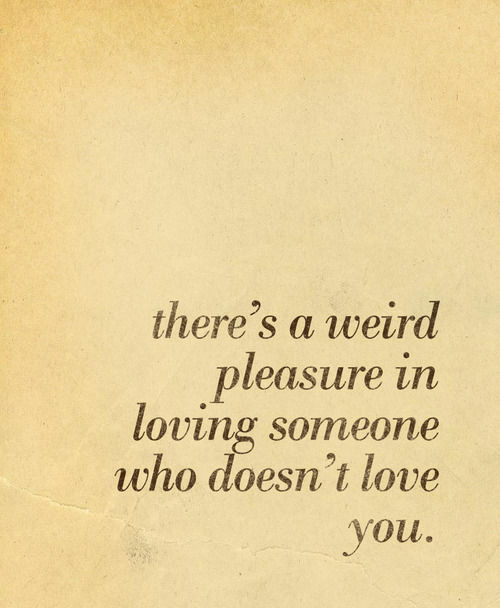 I’m used to it. I mean, it was my first unfeeling scrap of clothing, after all. What do you have against chandeliers? Nothing at all. In fact, I find them very...useful. Finally, you see it my way. It has been a pleasure answering your questions today. I do hope you'll invite me back in days to come. Sara is my favorite this week, since she addressed her questions to me. It is nice to be recognized for my genius. *O.G. = Opera Ghost. This is how the Phantom signs his notes. Look it up. Hello from I&apos;m Lizzie Bennett!!! Mostly because I have a professor named Dr. Gardner. Actually, I have TWO professors named Dr. Gardner. Both are female and completely unrelated to each other--or at least I assume so because one is an older, sassy black woman and the other is a relatively young professor with platinum blond hair. I don&apos;t like the cold and wish it would get warmer. Unless it gets snowy/icey--then class might get canceled. Hello from the first day of the new semester :/ I am, in fact, writing this on Monday, so I can’t really tell you how it’s going for me, but I only have 2 classes, which will be done by 11, so hopefully it won’t be too bad. Done before lunch seems like a good way to ease into the semester, don’t you think? Of course, in order to achieve that, I have to be up at 6 for an 8 a.m. class, so I’m not really looking forward to that. the recording of the original London musical in the 80s for Christmas. It was, however, lost in the deep, dark depths of his bedroom until a couple of days ago, so I just got it and got the chance to listen to it. If you know me very well at all, you will know that I already own the soundtrack from the 2004 movie, as well as the movie itself. And the English translation of the original book. So, I thought it’d be interesting to discuss the two soundtracks in comparison. Just basics, though. You should also know that I’m far too lazy to get into any kind of detail. Or incorporate more than just the two soundtracks. So! If you’ve listened to the movie soundtrack, you’ll know that it consists solely of individual songs taken from the movie- little if any dialogue is included, and they even leave out some of the songs, I guess because they’re considered too transitional or inconsequential to deserve a place on the CD. The original audio, however, is much more extensive, which I liked. If I’m not mistaken (which I may be- I’ve only listened to it once so far), in fact, it is literally the entire musical in audio form. So it’s almost like you’re listening to a radio drama or something, which is pretty cool :). I can’t really speak for how comprehensible this would be for someone with no prior experience with Phantom of the Opera, but seeing as I’ve seen the movie countless times, listened to the CD even more, and even read the book, I foun it really interesting just to be listening as the action happened and picturing events in my head instead of actually seeing them on screen on anything. as their argument about their secret engagement earlier at the masquerade. Ooh! And the graveyard seen is extended, with more banter between the Phantom and Raoul. I quite enjoyed it :). closer (though still quite apart) to the way he’s portrayed in the book. On the contrary, though, I liked the original Raoul much better than the movie Raoul, though again, this is most likely my own personal bias- I just really didn’t like the movie Raoul :/ (possibly because he was being compared with Gerard Butler…). Regarding the more minor characters, I thought it was interesting how similar the original Andre and Firmin sound compared to the movie versions. miserable… See youz guyz next week! Hello from my dorm room, where I am once again residing as school starts Tuesday. Speaking of Tuesday, it's Question Sunday! What would be the first five babies you would pick for the evil baby orphanage? Favorite non-sciencey Hank Green song? Can I choose Hank and the Katherine's cover of On the Rise? You are an evil evil person. fine. If I have to. Order is based on preference at the moment, but it tends to change around a bit every now and again. 1) Farscape. Because it's Farscape. No seriously. It's awesome. I want you guys to watch it and love it as much as I do so I can have someone to talk to about it. Maybe the animitronic puppet thing isn't what some of you all would think is interesting or appealing, but it's well done (most of it). I mean one of my favorite characters is one of the puppets! Pilot is awesome! I say awesome a lot! (It's actually weird to call it a puppet because it's actually alot more sophisticated than what you would expect what with all the gizmos and electronics and what-nots that make it work.) Ok um, reasons. I love the story. Not just the main story of 'astronaut flung into another galaxy', but the interactions among all the characters and how they develop throughout the series (and other awesome storylines that I can't talk about on the off chance any of you actually watch the show). "It's very important in the story that-- you know, you began with John just looking for a way home. But him finding his home is the real story. That's the real story, it's the story all of us have, particularly in America where we all run off to different parts of the world or different parts of the country and our families are fractured. It's the part that resonates with me personally, and I think it resonates with a great number of people, that the journey of our life is creating a home - it's creating a family. Because our parents are gonna die at some point, we're going to lose friends along the way, -- but how you create a home, how you create a family, that's [John's] journey." And if any of that is too sentimental, there are also lots of explosions and stuff in the series. And the acting is great. Great in so many different ways. And there are several different images from different episodes that are just plain epic. I just love it ok? And it's fandom is awesome, too. I think it was the first or among the first to bring back a cancelled show for a conclusion like Firefly fans did with Serenity like a year or so later. 2) Doctor Who. Because David Tennant as the tenth doctor is amazing. Also Christopher Eccelston is awesome. And, well, most of you already know why it's a cool show. 3) Sherlock. Because it didn't (or hasn't) get cancelled after like 13 episodes leaving a little hole of "I want it back" in my soul. And the last episode of the second season is just - well awesome. 5) Angel. It's been a long time since I watched Angel. I remember it being awesome, and I'm sure I would still feel that way if I watched it again. Favorite Firefly character? Least favorite (among the main characters)? Least Favorite: Probably Book. Not that I dislike him, I just find the rest more interesting. Favorite way to waste time? What are you most looking forward to about this semester? Not waking up at 7:30 every day. Anna Beth has told me that was not an adaquate answer. So, um, because the roadtrip's coming up, I have to pick summer. Do you have trouble remembering to write the next year after New Year's (for example, writing 2013 now instead of 2012)? If so, how long do you think it takes you to stop writing it wrong? I haven't needed to write the date recently, but back in high school it took me a good 3 or 4 weeks ot get the hang of a new date. Favorite language you know (I may have asked you this before...)? I don't remember what I picked last time, but as of right now I pick American Sign Language. Favorite language you don't know? At this particular moment it's Hebrew, but there are few others also vying for top spot. If you couldn't be Jillian Maureen Sensel, what would you rename yourself (you can't say Jill, either, or any other shortening of one of your existing names)? If you could turn any of your hobbies into a career, what would you choose (like, get paid to watch YouTube videos or draw or something)? If I could be paid for marathoning through TV shows (or other such things), that would be the coolest thing ever. What YouTuber do you think each of us corresponds to, personality-wise or other-wise? Explain plz! Since you all have YouTube accounts, I'm tempted to just choose you all for yourselves, but that's probably cheating. Ugh, too hard. um, let me think. You guys are just you to me, not someone else. Rachael - Alli Trippy (CTFxC) - I think their fashion sense can be similar at times. And they both like to have a good time. And uh, I don't know. It seemed like the closest match I could think of. and uh, Alli spent a semester in Spain, and uh Rachael's part Mexican, so that sort of -- ok, I think that makes me sound racist. Anna Beth - LizzieBennet. (you didn't say anything about fictional YouTubers) Cuz AB will be happy to be with Darcy....and other similarites AB may hit me for. Sara - Amazingphil - mainly because he's got the little repuatation of being the 'innocent' one between himself and Dan, and you're pretty naive sometimes. Jill - Emily (thebrainscoop) - Not that our personalities or characteristics are the same. Just because she dissects stuff on her channel and that's cool. What's the silliest lie you've ever told? No, you're not crazy, Anna Beth. What are you looking forward to in 2013, besides our roadtrip/vidcon and England? Maybe skydiving with Rachael if that ends up happening. Would you rather wake up one day and discover that the entire world is one giant musical and everyone has to sing (including you) or wake up one day and discover that the entire world is pink (including everything you own)? If my voice were replaced with that of someone who could actually sing, I'd pick the musical ONLY if it WEREN'T like Les Miserables were literally everything is singing. In all other cases, I'd choose pink. Are you ever going to watch Downton Abbey? I watched an episode with you tonight. I admit it's not high on the list, but maybe someday. Wanna trade episodes of Farscape for episodes of Downtown Abbey? How many hours would you say you've devoted to Farscape over winter break? Well, there are 88 episodes in the 4 seasons produced, each around 45 minutes long. Plus the 3 hour miniseries. Plus the time I spent rewatching some favorites and some commentaries and convention videos and actor interviews online and episode blog analyses. I think the total is somewhere around 130 hours. um, I'm not crazy I promise. Why do we have to go back to school? Somewhere in Wilmore....hopefully. Or maybe they're on they're own adventure through the wilderness until they find they're way back home...much like the movie Homeward Bound - a movie you should watch. Which was more difficult to draw, Otterbatch or Mitten? Otterbatch. The ears in particular. Otters have small ears. It was hard to figure out how to make sure it definitely looked like an otter. Under the assumption it must be a game that has a physical board (unlike some other party games sold like 'board games' like taboo or apples to apples or Funglish) I guess maybe Life? Would you rather have a tumblr, pinterest, or twitter account? What's the #1 thing you want to see/do in London? Besides all of it, maybe Trocadero? What do you want to do in Vegas? Win enough money to pay for the trip, not that I'll be doing much gambling though. Ben Browder or Nathan Fillion? I guess Ben Browder, maybe. What is your ideal image of the way the Etc. section should be used, or do you think we should abolish it all together? I don't know. I don't want to be mean and say abolish it (particularly because I don't want to just delete the stuff that's already there) but I don't know what use it is. Since we're down to 4 steady bloggers, we're kinda free to blog whenever we want as long as we also blog on the assigned day. Do you have any preferences for what you want to see the Etc section used for? What Once Upon a Time pairings do you ship, and which is your least favorite pairing (doesn't have to be an official couple)? Least favorite as of right now Dr Whale + Red, because I don't really see it as a thing at all. What fairytale do you want to be in? Sleeping Beauty -Disney version- wouldn't be so bad. I did a few hours ago when you played the entire soundtrack to Les Miserables as we unpacked. PO-TA-TOES. Boil 'em, mash 'em, stick 'em in a stew. A nice big toasty bonfire! When will the flames at last consuuuuuuume us? When someone throws the DVD on a fire? Birds fly over the rainbow. Why, then, oh why can't I? Because you don't have wings and apparently you don't have access to a Jetpack, Helicopter, or Airplane. How about you go jump in that Tornado and give that a shot? And that's it for Question Sunday. The winner this week is The Phantom, as he asked a question about fire, and I like fire. Since The Phantom is unable to accept the prize of winning, it will instead go to Anna Beth, because she didn't asked to rank my favorite shows based on preference. Hello from my house. I really need to get out more, become active because my life during break is pretty ridiculous. Oh well, less than a week to go before we start school again and maybe I&apos;ll even keep my new year resolutions. By the way, did we ever state ours? So, like Sara said, we were suppose to have some "winter weather" yesterday and the school systems were let out an hour early. What did we get? Rain. And a lot of panicky people...but that&apos;s BG for ya.